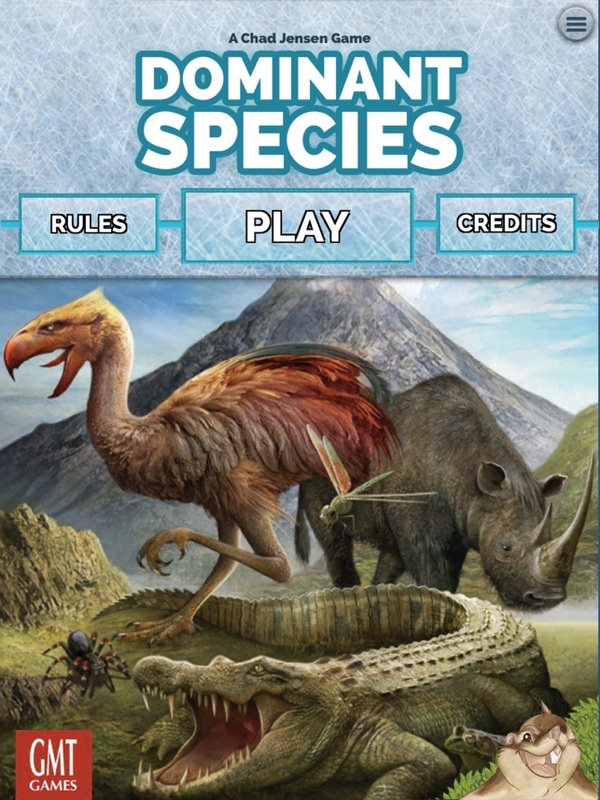 Welcome to a complete remake of Dominant Species, our first iPad app. 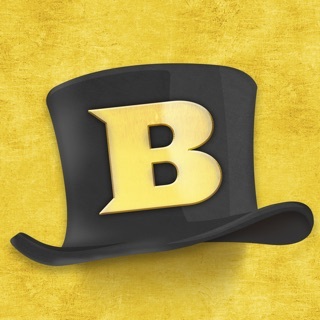 This app is a digital port of one of our best-selling games, designed by Chad Jensen. Our original attempt at an app for this game was unfortunately less-than-stellar (to be kind). We knew we could do better, and we committed to making it better. Regrettably, it took us a long time - and three different developers - to finally create this new version. But at last we have an app that we are REALLY proud of. We hope you guys will like it, too, and find it a major improvement over the original game. This new app update is an entirely new game with 100% new code, so you guys are getting a completely different app from the original. 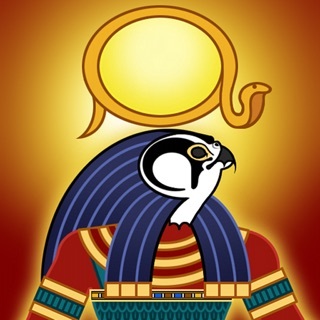 We are providing it as an “updated version” because that was the only way I could figure out to make sure that the owners of the original could get the new app for free. Please accept this as our apology that the original app wasn’t better, for the time it took us to get you the new version, and as a demonstration of our determination to never leave you stuck with a game that isn’t a quality product. Here's an updated feature list. Note that we are working on an additional update which will add multi-player Game Center support. 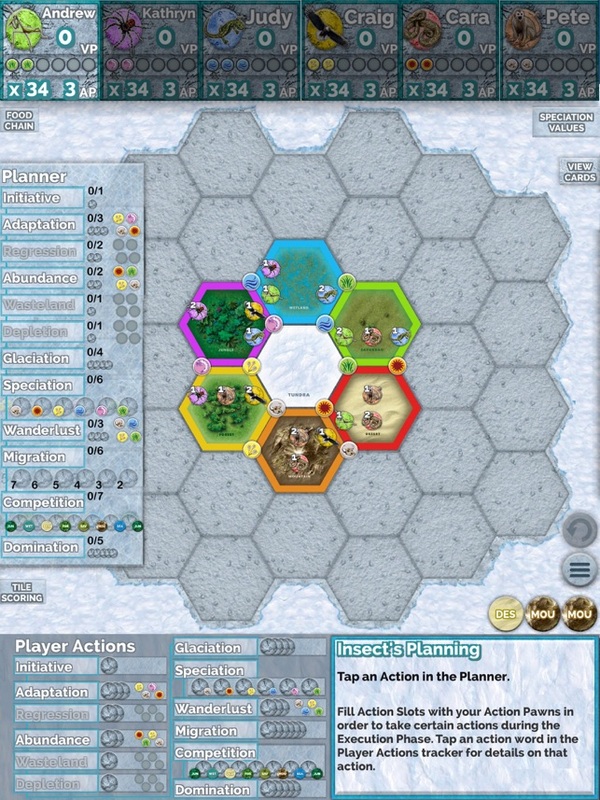 Play against a mix of up to 5 human and/or AI opponents via Solo Play, Pass 'N Play, or a combination of both. 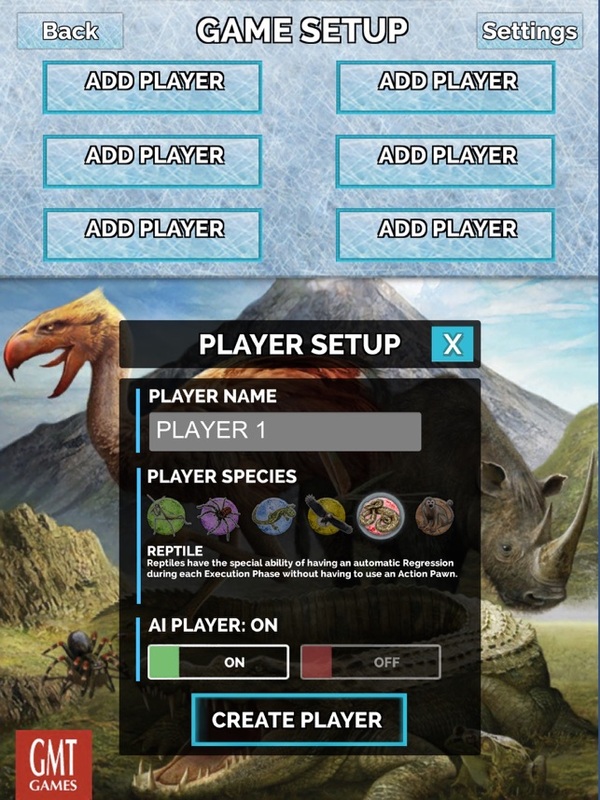 New Pull-Out visual menus that provide quick access to Tile Scoring, Speciation Values, Food Chain, and Dominance Cards. AI players that are greatly improved from the original version. Finally, I want to personally thank all the great folks at GameTheory, who rewrote the entire app and gave us a product to be proud of. I also want to thank the people who volunteered to help us test Dominant Species, caught many bugs, and gave us great suggestions throughout. You guys did terrific work - thanks! OK, enough talk. It’s time to play. Enjoy the game! I love the Dominant Species table top game. Heck, I even enjoy the card game version (much different gameplay though). 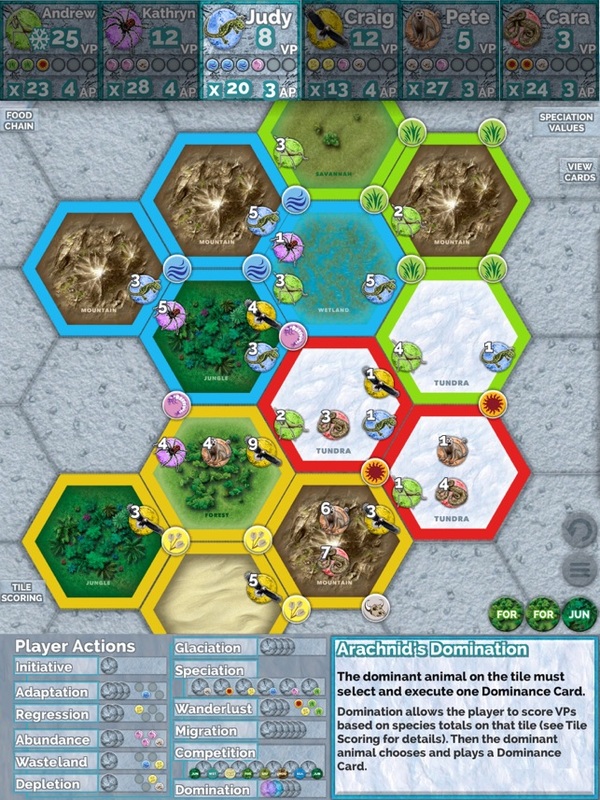 But I often can't find opponents for the board game, so the iOS version has been able to serve as a substitute, as it offers much quicker games than the tabletop version. First off, set up is quick. Additionally, the math of this game is simplified (i.e. Figuring out who is dominant) and the board set up is automated, so no more having to remember to remove that element adjacent to three tundra tiles, or slide down elements from adaptation to regression, etc. 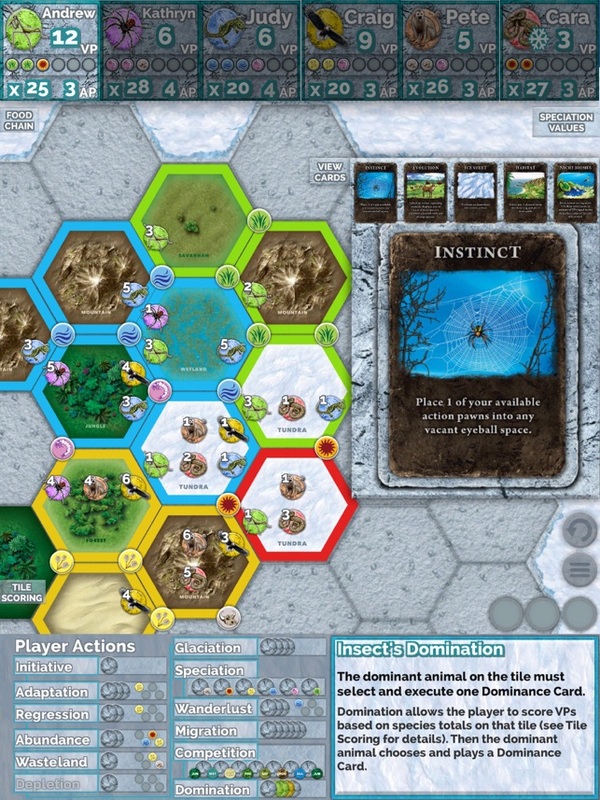 the game offers nice visuals (such as a colored boarder for dominance). My opinion also differs from several of the other reviewers in that I'd also argue that the interface is quite easy to use and nice on the eyes. 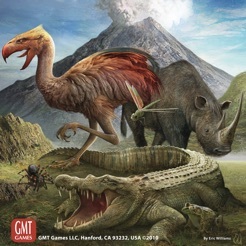 The dominance cards and terrain tiles utilize the most recent edition art. 1) The game will stop during certain action selection, such as when the AI must select speciation when there are no such elements available. There's no fix to this. You have to restart the game. 2) You can only have one saved game. 3) They don't keep statistics. For a science-y game, that's hard to reason why. A dimple won-loss record with each animal would be nice, even. All in all, it's a great game. I think there are just a couple of patches or upgrades to make this top notch. Many of the complaints I do not understand. The game looks fine and is quite usable in my limited experience. AI is always an issue with complex games, especially with limited expected sales. That said, if you can’t finish a game because of bugs, the games other values don’t amount to much. Buy the board game instead, or something else that is supported. GMT has a history of ignoring graphic design. All their board games look like they were made in a word processor, with the same default font and same stroke width and same boring clip art. While you can get away with doing that on a physical board game and just have a boring looking game, when you also treat user-experience design as an afterthought you get a mess like this game. GMT needs as a company needs to learn to value design or they'll always produce garbage like this.